Got the ad for the upcoming Whiteout DVD and Blu-ray today, and I was disappointed to see that the bonus features, for the most part, were only announced for the Blu-ray version. 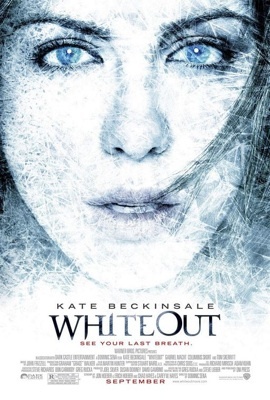 The Coldest Thriller Ever Story — Kate Beckinsale and others brave disintegrating sets, gale-force winds, and -65 degree lunch hours. The Whiteout DVD only has the additional scenes. The DVD has a list price of $29 US, while the Blu-ray is $36. Both are due out January 19. This is the kind of thing that makes me wonder if the extra features will be posted online anywhere, since now I don’t have any need to see the movie again.